Jess's Rec: This mystical box, containing a decade's worth of work, could rightly be called Chris Ware's magnum opus; an impressive statement overshadowing even Ware's genre-changing work Jimmy Corrigan. A pictographic listing of all 14 items (260 pages total) appears on the back, with suggestions made as to appropriate places to set down, forget or completely lose any number of its contents within the walls of an average well-appointed home. As seen in the pages of The New Yorker, The New York Times and McSweeney’s Quarterly Concern, Building Stories collects a decade’s worth of work, with dozens of “never-before-published” pages (i.e., those deemed too obtuse, filthy or just plain incoherent to offer to a respectable periodical). 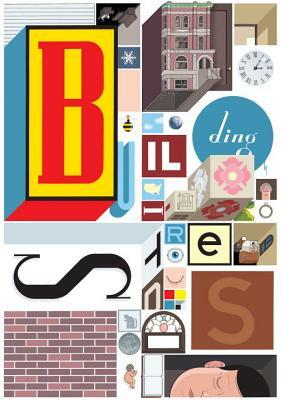 CHRIS WARE is widely acknowledged as the most gifted and beloved cartoonist of his generation by both his mother and seven-year-old daughter. His Jimmy Corrigan: The Smartest Kid on Earth won the Guardian First Book Award and was listed as one of the "100 Best Books of the Decade" by The Times (London) in 2009. An irregular contributor to This American Life and The New Yorker (where some of the pages of this book first appeared) his original drawings have been exhibited in the Whitney Biennial, the Museum of Contemporary Art in Chicago and in piles behind his work table in Oak Park, Illinois.